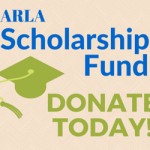 ArLA has supported Arkansas’ academic, public, school, and special libraries for more than 100 years. In that time, we established a state library commission, began an association publication, established salary guidelines, supported the continuing education of librarians, and protected intellectual freedom. We hope you join us in further supporting libraries and the library profession. The Arkansas Library Association holds an Annual Conference every year. The next ArLA Conference will be held in Hot Springs on September 27-29, 2019 at the Hot Springs Convention Center and the host hotel will be the Embassy Suites Hot Springs Hotel & Spa, 400 Convention Boulevard, Hot Springs, 71901. Look for Conference information on the website beginning in April. Click the button below to fill out the online member application to become a member of the ArLA. Every year the Arkansas Library Association bestows a variety of awards and prizes in recognition of the compelling and dedicated service of our Arkansas librarians and their achievements. These awards are given during an awards dinner held at the annual ArLA conference. The awards process is managed by the Arkansas Library Association Awards Committee. This committee solicits nominations, reviews and selects award recipients, and coordinates the awards dinner during the annual conference. Nominations for the Arkansas Library Association Awards are now open. The deadline for submissions is June 28, 2019. Please consider nominating a co-worker or colleague for one of the awards using the nomination form, here: https://bit.ly/2DeMHX3. The ArLA Annual Conference page is part of the main menu of the website, next to Arkansas Libraries. The direct link is https://www.arlib.org/conference. Additional information will be added as it becomes available. The Reference and Instruction Services Division of ArLA will be hosting a Reference Exchange Event on May 24, 2019 from 10:00am to 4:00pm at Conway Public Library in Conway, AR. This free event will feature a panel discussion with genealogy experts in the morning. The afternoon portion of the event will consist of a panel discussion with reference services providers as well as an opportunity for attendees to ask for assistance with difficult reference queries. To register, please click here. Please fill out one registration form for each person from your organization who would like to attend. There is no cost to attend this event. For more information, please contact Allie Stevens, RISD Chair, at (870)798-4492 or allie@calcolibrary.com. We look forward to seeing you on May 24! This event will take place on Thursday, April 18 from 2:00-3:00PM online. All libraries provide vital services to their communities, but libraries that serve small, rural populations have the potential to go beyond providing information and access--they can inject the vitality that will help their communities thrive. Addressing the challenges faced by rural areas may seem daunting to a library with few staff and limited resources, but any tiny library can find more ways to support the needs of their community by thinking strategically and creating new connections with their stakeholders, patrons, and other library staff. Learn how small library director and 2018 Library Journal Mover & Shaker, Allie Stevens, applied the concept of growth mindsets to set her priorities, use resources and volunteers smartly, and avoid burnout as a solo librarian. Follow her lead to turn your library into a powerhouse for your community. This WebJunction webinar is presented in collaboration with the Association for Rural & Small Libraries. You and your team have done something amazing in your library and we want to learn about it! The 2019 Arkansas Library Association/Southeastern Library Association Joint Conference is going to be held Friday, September 27, 2019 through Sunday, September 29, 2019 at the Embassy Suites in Hot Springs, Arkansas. Breakout session proposals will be accepted until April 20, 2019. Proposals received after this date risk not being considered for the 2019 Annual Conference. If you have any questions about the 2019 sessions, please contact Carol Coffey 501-944-0865 or ccoffey@cals.org. If your session proposal is accepted, you will be contacted via email. At that time we will begin making arrangements regarding room needs. Submit your proposals here! While we have your attention, we are planning the ArLA 2019 pre-conference and we want to hear from you! Take this survey and let us know what topics you would most like to see at our 2019 pre-conference. ARKLIB-L is an online mailing list for those interested in Arkansas Libraries and related topics. It is free and open to the public. It has also been used to disseminate information to ArLA Members. For more information and to sign up, go to http://mail.arlib.org/mailman/listinfo/arklib-l_arlib.org. You can also use that page for maintaining your subscription. Here is the 2018-2021 ArLA Strategic Plan as approved by the membership at the Annual Business Meeting on September 24, 2018. There are versions for Microsoft Word as well as PDF. Check out the conference photos at 2018 ArLA Annual Conference Photos. Thanks to Richard Theilig for being the conference photographer, and for uploading all of the photos.